If you know anything about the Margrave games, it is most probably something good. Because those game usually feature some great artwork, challenging puzzles, and interesting stories. Margrave: The Blacksmith's Daughter is another treat for teh fans of the genre and the series. The game's audio-visuals are just perfect. Maybe somebody could do something better, but these are awesome enough as they are. This story is about a town that appears once every 300 years. The gam will tell about it with more details. The story goes back in the past and becomes part of your present as Tom gets kidnapped. Now you need to go all the way into the town to rescue him and yourself. But you don't have much time...it is only there for a while. The game's audio-visuals are just perfect. Maybe somebody could do something better, but these are awesome enough as they are. The graphics are beautiful and the music is actually enjoyable. The game is full of all kinds of tasks for you. 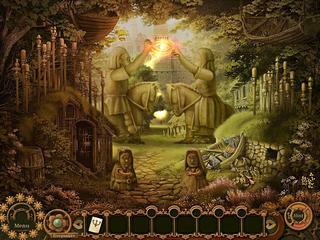 Margrave: The Blacksmith's Daughter does belong to the hidden object puzzle adventure genre. 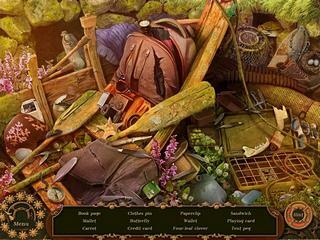 There is not too many hidden object scenes. But enough for the fans. There are many puzzles to solve though. The are diverse and scattered across the game to jump on you when you don't expect it. The game is helpful in that it has a map for you that works in two modes, and thee is a hint system, but you still need to think hard and find your way through it, which is always nice. Margrave: The Blacksmith's Daughter is one of the best out there, so you really should give it a try if you are a fan of this genre. This is Margrave: The Blacksmith's Daughter review. Download this game here.